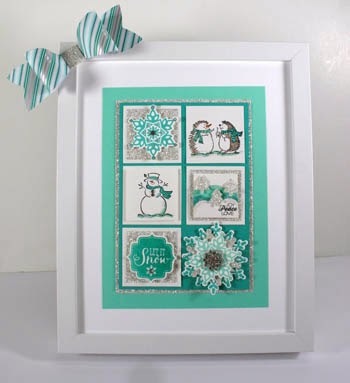 This winter sampler of snowflakes, snowmen and snowy hills will decorate your home all winter long. Make one for a friend and one for you to enjoy. You’ll want to make several of these to give away as gifts! Also makes for a fun holiday crafting class! This absolutely adorable project was designed by Sharon! If you have a chance head on over to Sharon's blog and leave her a comment on her project! If you would like to subscribe to the December edition of Craft Project Central and get 10 wonderful tutorials for only $10 then click HERE!